Today, I would like to introduce a perfect place for you to take visiting friends or if you are coming, I would put this place as one of your top priority list. 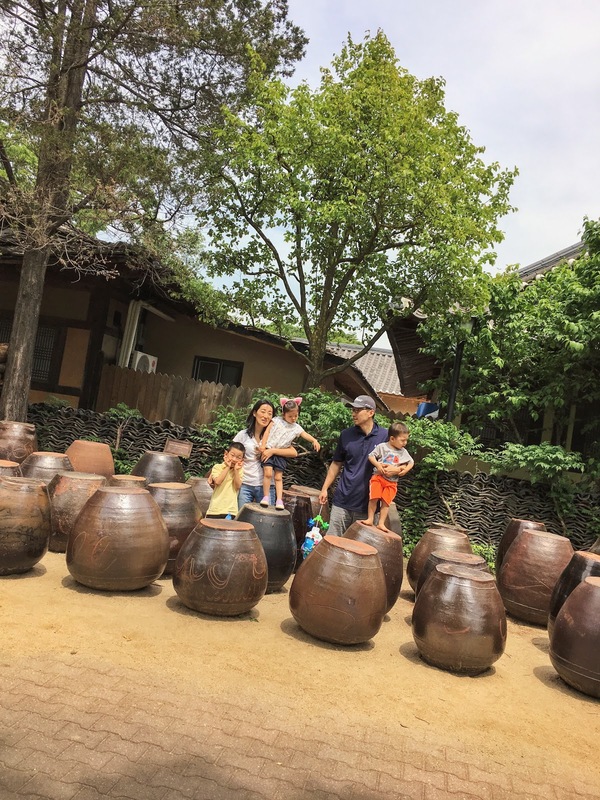 It's called Korean Folk Village (한국민속촌). 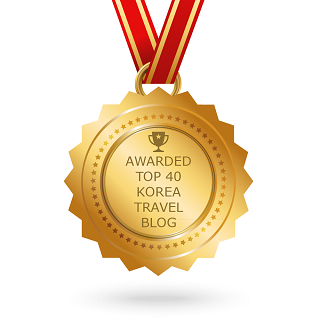 It's located in Suwon about an hour and a half down from Seoul. 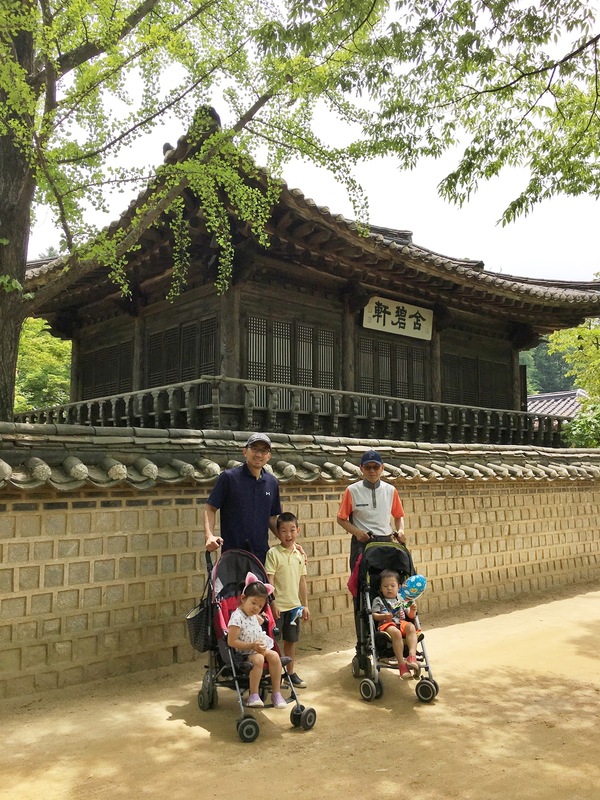 I highly recommend this place because aside from it's beautiful scenery and architecture, you can see and experience Korea as it was during the Joseon Dynasty. 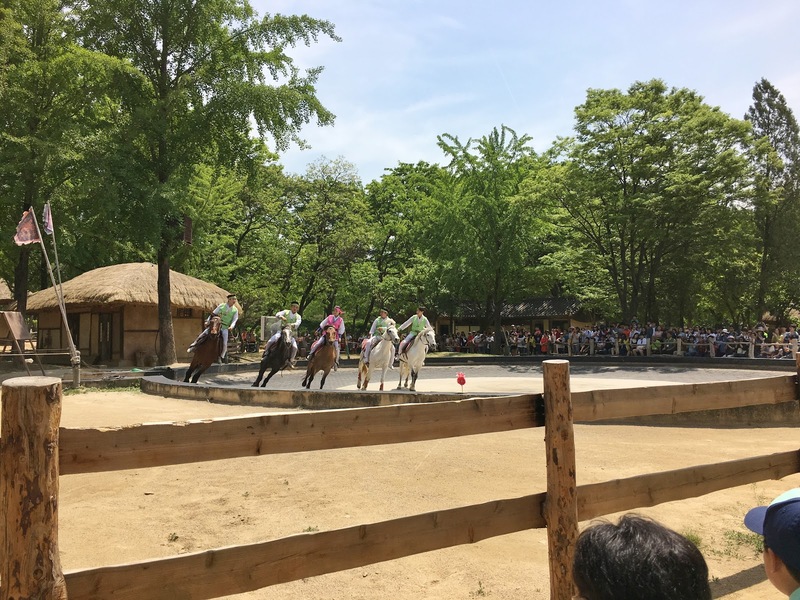 One of the highlights is experiencing Korea's traditional performances such as Jultagi (tightrope walking), farm music and dance, and equestrian fest, and traditional wedding. You really have to schedule and manage your time there if you want to see everything. Please check the performance time on their website provided below for your reference. While we were there, we got to see two performances, tightrope walking and equestrian fest and both were pretty entertaining and impressive. My kids who are 5, 4, and 2 really enjoyed them especially equestrian fest. They couldn't take their eyes off all the horses and acrobatic performances. And then we passed the traditional wedding to the market place and had lunch. There are many traditional Korean foods at the market place and I thought the price and quality was reasonable. 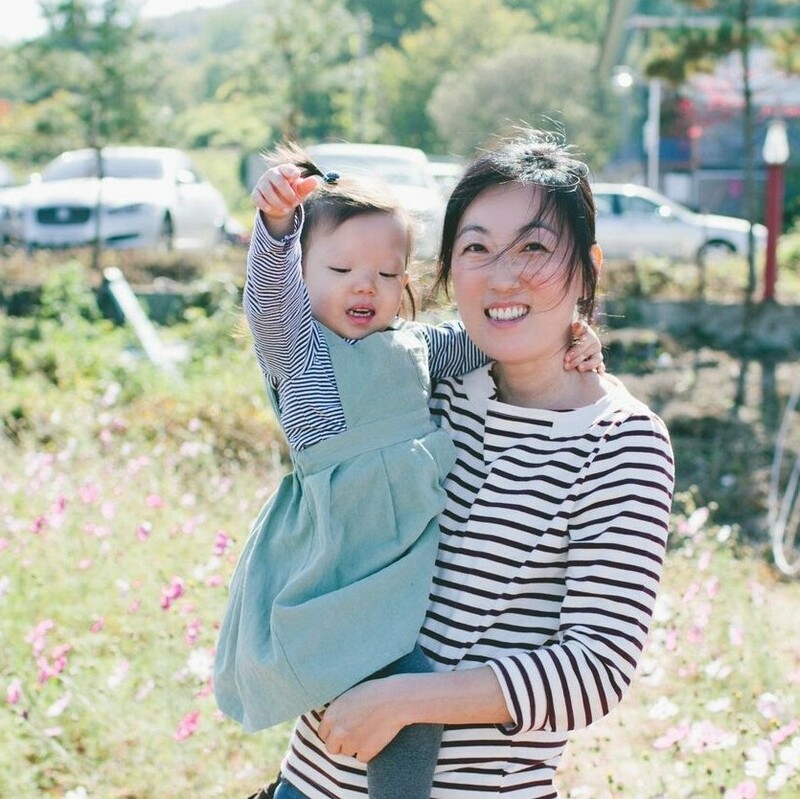 After having lunch outside, we walked around and enjoyed the beautiful landscape, had traditional tea and snacks, and played some games before heading home in time for the kid's nap. I really wish we spent more time here. There are so much do see and do, but we had to call it a day. 1. Check their website and decide what you want to do and see especially if you have kids. 2. Avoid going to the market place for lunch at 12pm since people flock during that time. The line for the food was long and it was hard to find a table. At least when we were there, the lines started getting short around 12:30pm. I would recommend eating a little early or later. Again, plan out your schedule before going so that you can maximize your time there if watching performances is important to you. 3. It's getting hot here, so sunscreen, hat, water bottle, and even portable fan are all a must! I also recommend going to see the performances about 10 minutes early to get a shaded spot. The performance areas are in open space, so unless you are shaded by the trees, you will be directly under the sun. 4. If you wear hanbok, I believe entrance is free. I don't recommend doing this if you are trying to save money since I think it costs more to rent hanbok for a day, but it's a fun experience and looks great in pictures! 😉 We didn't get to do it, but loved seeing people walking around in hanboks. It made me appreciate beautiful hanboks and felt as if I traveled back in time to Joseon Dynasty. People walking around in Hanbok is a common scene. Now here are some pictures from our visit. Love this picture of Miles and my father in law, for this was their first time meeting and they really bonded while my in-laws were visiting. Just playing with good old dirt. 😆 She is actually planting trees. He was so curious...glad he is not shy to ask questions. Overall I loved it here. Everyone had a great time and it was also educational. We are definitely going back! I think it would be beautiful in the fall.